Exotic Seeds, Botanicals, Cacti and More! 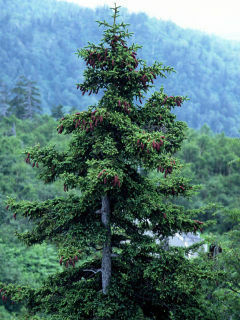 Picea Jezoensis, commonly known as the Jezo Spruce Tree is an ornamental pine tree native to northeast Asia, including the mountains of Japan. The Jezo Spruce has short needles that are a deep shade of green with white undersides. The cones are often red when they are young, turning to pale brown at maturity. 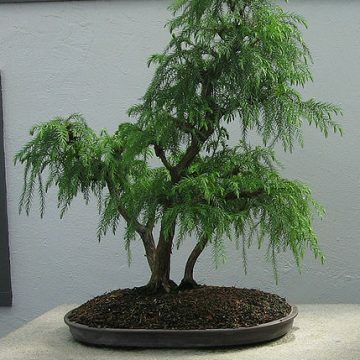 Although it can reach 150 feet in height, it is commonly grown as a bonsai tree by plant lovers. Its short needles make it a prime candidate for this. This is a low maintenance tree that will go great in landscaping arrangements or even as a high class Christmas tree. Growing Information: Soak your seeds for 24 hours prior to planting. The seeds should experience a period of cold temperatures prior to germination to simulate the change from winter to spring. You can do this naturally by sowing outdoors in the fall and letting the seeds sprout naturally with the change of seasons. Otherwise, you can imitate this by putting the seeds in a moist growing medium and placing them in the fridge for 3-4 weeks. The seeds should be sown at a depth of 1/8? in a moist well-draining soil. The Jezo spruce enjoys acidic soils and is tolerant of soils with sand or clay. It requires full sun and average watering. 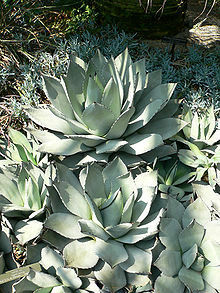 It will grow best in cooler climates and will not survive tropical weather. In purchasing, international buyers agree to assume the risk of arrival of all items. We cannot replace lost or seized items. You will be required to confirm that you agree to these terms before items can be sent. Our passion has always been to collect and offer as many unique products as we can. We specialize in medicinal herbs and ethnobotanicals. At this point, we stock over 600 unique products. 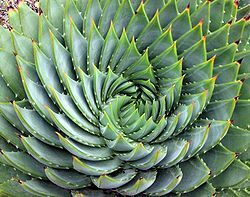 We've come to be relied upon by many as a dependable source for the unique seeds and botanicals they are looking for. This has been especially true for international buyers who have a harder time finding the types of products we offer. We’ve built our reputation on charging reasonable prices even when we don’t have to.